Guys, I shouldn't play favorites, I know, but I can't help it. 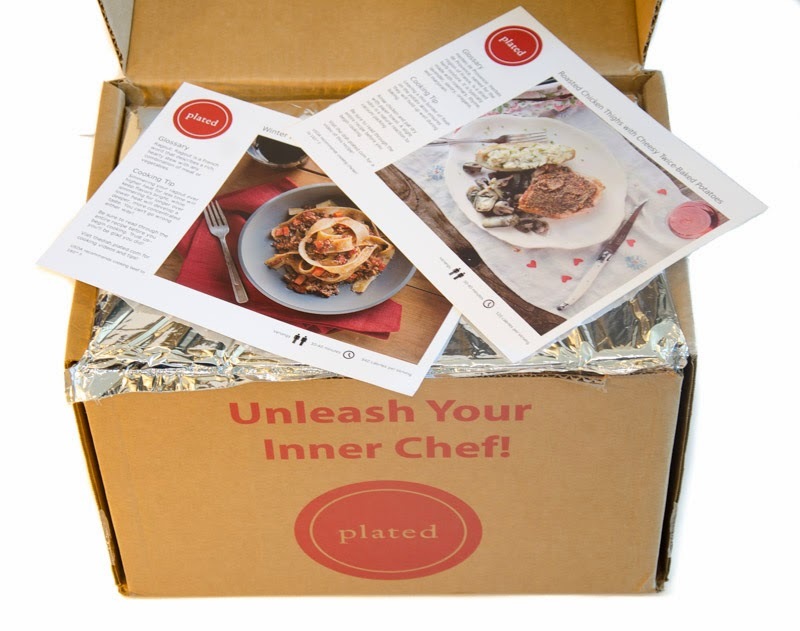 Plated is a meal delivery service with a twist: instead of sending you ready-to-heat prepared food, you're shipped fresh, pre-portioned ingredients along with detailed, illustrated recipes so you can prepare your selected dishes yourself. If you, like me, love to cook but don't want to spend five hours a day agonizing over elaborate meals after coming home from work, this sub box is for you. Neatly tucked inside this guy were the contents of my February 15 delivery, for which I'd ordered two servings of winter ragout over pappardelle pasta and two servings of roasted chicken thighs with cheesy twice-baked potatoes. The enormous box of pappardelle pasta was our first look upon unboxing. 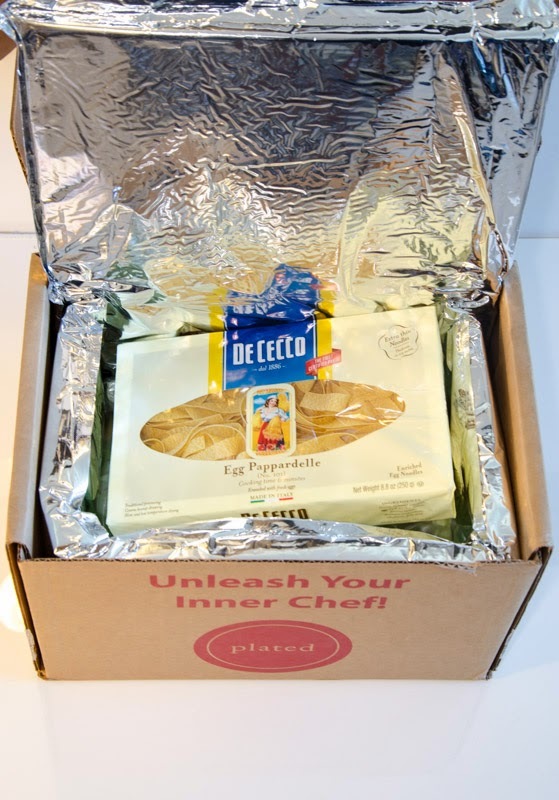 De Cecco is an excellent brand, so we were pleasantly surprised right away. And this is what we saw after lifting the box of pasta: carefully sorted little packs and bags of ingredients labeled and separated by dish. I was so excited to start cooking after coming home to this delivery that I didn't even give my guy a chance to shoot the ingredients out of the box and packaging. Sorry guys, no photographic evidence of my experiments in the lab for this one -- but I do have photos of the finished product! 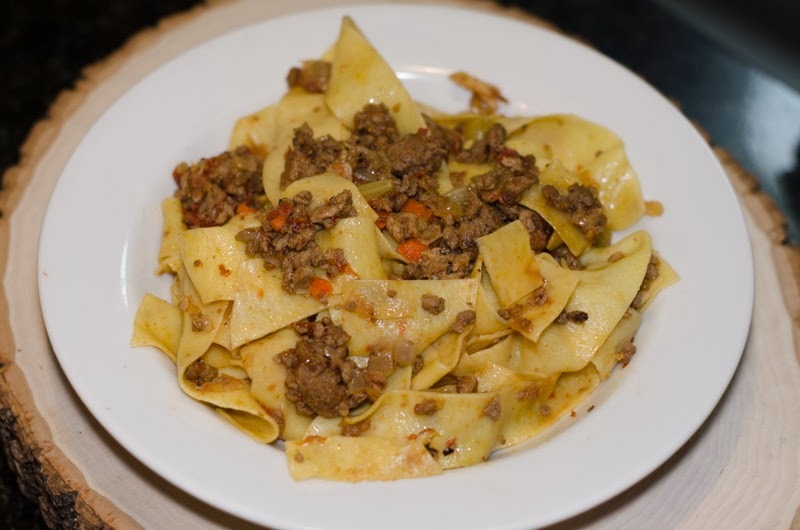 Winter ragout over pappardelle. 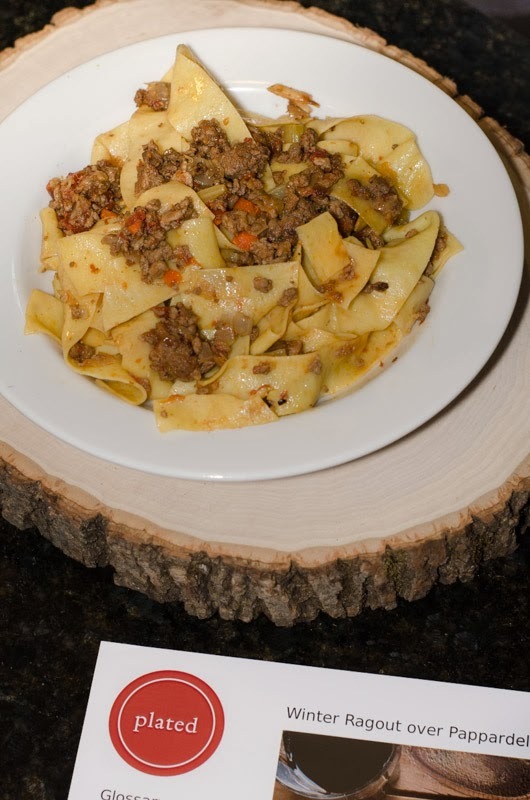 Ground beef, pork, and vegetables tossed with wide pasta noodles. Aren't those pics food porny? After some vegetable chopping, pasta boiling, and sautéeing, this dish came together with a few tosses of a wooden spoon (provided by moi). Amazingly enough, even though the pasta and vegs only simmered for about 20 minutes, the ragout emerged rich, complex, and totally delicious. And total cooking time was about 45 minutes, including prep! Insane. Also, it may have been the best, tastiest dish I'd cooked to date, and it totally passed the boyfriend test (he loved it). That's one serving of potatoes. Don't they look decadent? 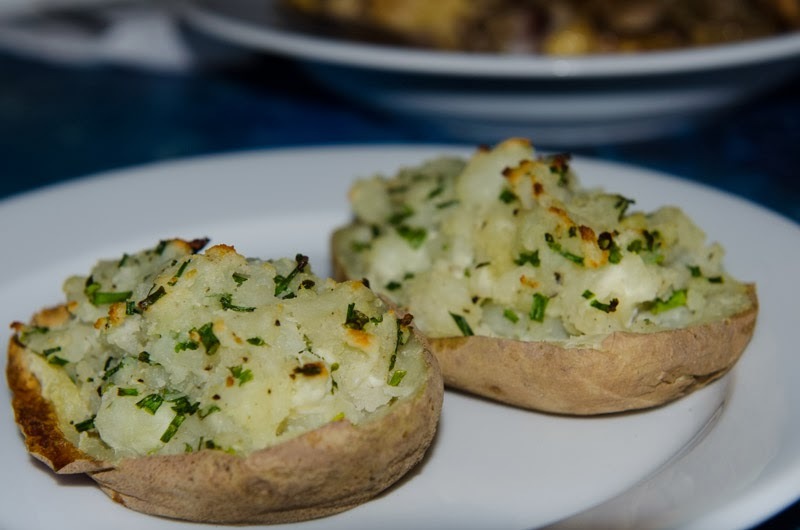 After cooking them in the microwave, I sliced them in half, scooped out the pulp, mixed it with chopped chives, butter, and goat cheese, scooped it back into the potato skins, and heated the finished product in the oven for a few minutes.. These turned out absolutely delicious -- can't wait to make them again! 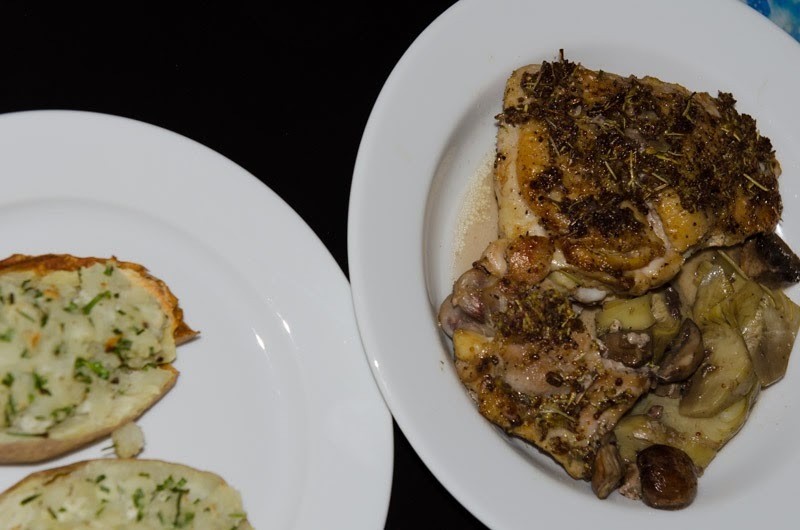 Roasted chicken thighs with cheesy twice-baked potatoes with an artichoke heart and mushroom garnish. 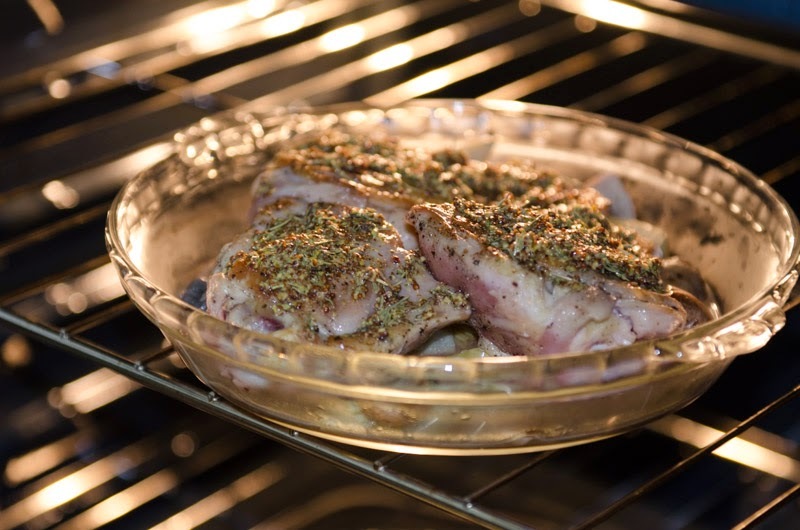 The chicken was delicious too, incredibly tender and flavorful after only minor browning in a pan and maybe half an hour in the oven. This meal took me about an hour to prepare, and again, the results were sincerely amazing. Plated makes me look good! I don't think I've ever followed recipes quite so successfully before. I don't know what magic, hoodoo, or scientific formulas Plated is using to devise these recipes, but I'm seriously starting to think they're foolproof. If you're interested in trying Plated, you can use this link to sign up and you'll get your first order for half off, or $30 instead of $60. Recurring memberships cost $10 per month, and get you four (or more) plates per week at $12 a plate. As a member, you have the flexibility of skipping any weeks during which you don't want delivery. If you'd rather not sign up for a membership, you won't be charged the monthly $10 fee, and your plates will cost $15 each. There are seven dishes to choose from each week, tailored to some extent to your dietary preferences, which can be set in your account profile. 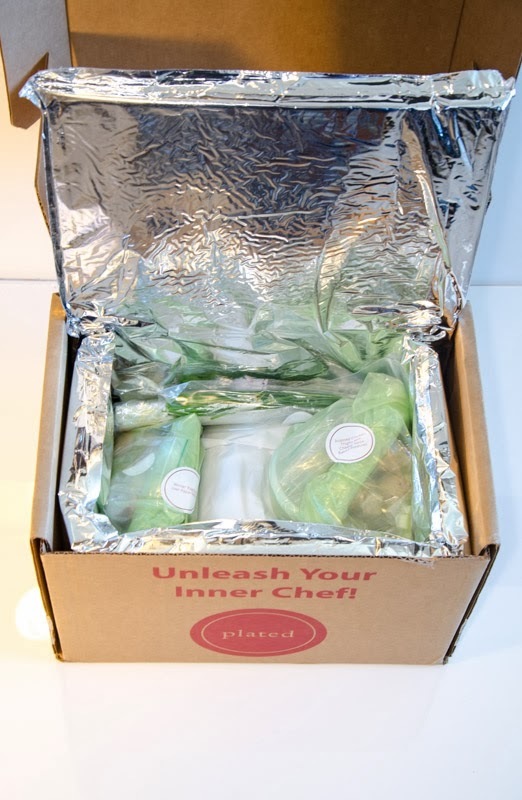 I honestly can't recommend Plated enough if you're looking to add some variety to your diet, eat fresh food, simplify your routine, hone your cooking skills, and add some new players to your recipe rotation. 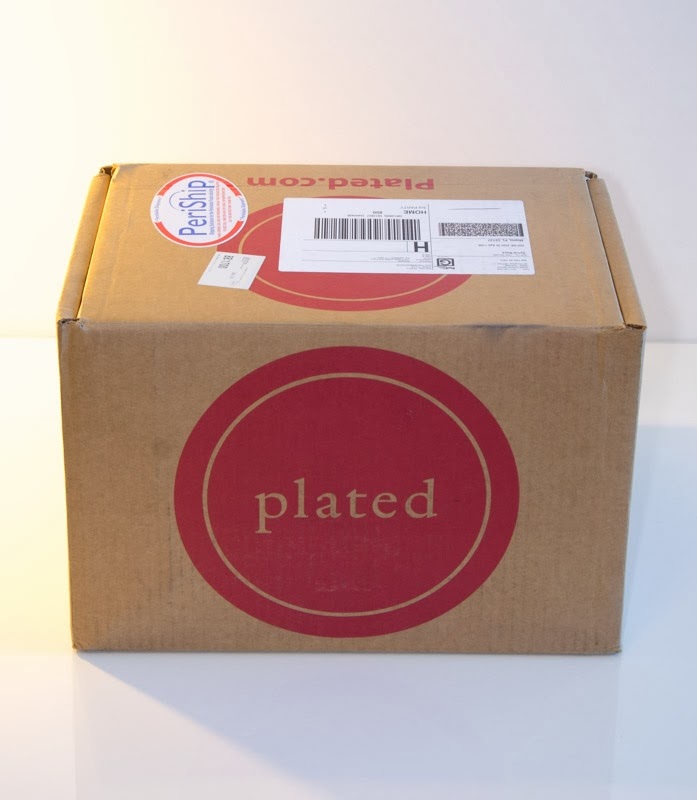 What do you guys think of Plated? Do you like to cook? Do you find this sub a good fit for your lifestyle? This post may contain affiliate links, referral links, and/or other forms of advertising for compensation. Regardless, all opinions are my own and never affected or influenced by sponsorship. For full disclaimer and disclosure details, click the disclosure tab above. I think this is such a fun idea! I'm more of the type of cook to throw some random things together and see what comes out, but this would be a really fun housewarming gift or something like that. Oh yeah, these recipes are SO much more elaborate than the stuff I usually make (hello soup, sandwiches, and scrambled eggs with stuff), but it was really fun to play chef a few times these past couple of weeks. :o) You might like their vegetarian options better, looks like they have two or three available each week. Who says you're not supposed to play favorites. This looks totally delish! Thank you! I'll probably change my mind in the next five minutes, or with the next cool unboxing, but at this moment Plated is the favorite child. © boxfullove 2014. Simple theme. Powered by Blogger.